At one point, I ventured outside…to the front lawn! Cars were honking as they passed. 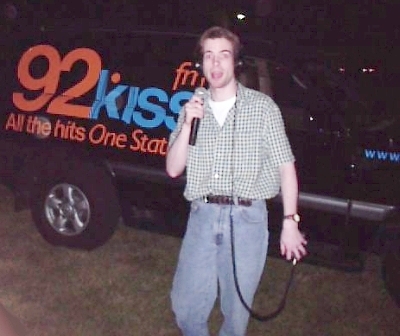 Published December 8, 2015 at 400 × 336 in 92.7 Kiss-FM / Chicago, IL (1998-99).